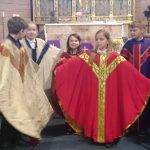 All Saints Church is offering an educational outreach programme to help teachers to deliver the experiences and outcomes of the Christianity strand of the Religious and Moral Education Curriculum for Excellence. 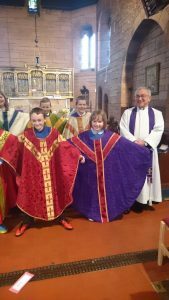 The curriculum calls for teachers to establish ‘close liaison with local faith representatives’. 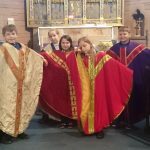 Amongst many other ‘Experiences’, pupils are expected to investigate Christian communities within the local area and explore places and investigate artefacts. 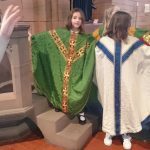 We offer classroom visits to introduce pupils to the church and to the form of worship in a Scottish Episcopal Church. 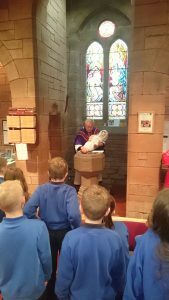 This is then followed with a visit to the church to get a ‘hands on’ experience. 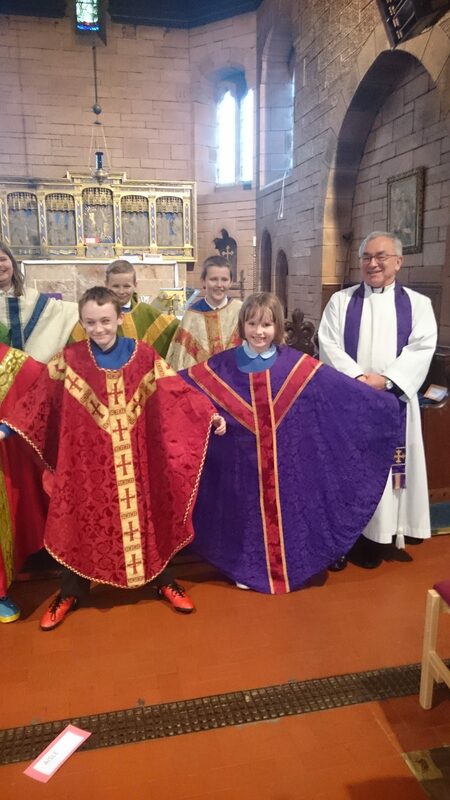 24 children from Lockerbie Primary School visited the church on Wednesday 29th March. 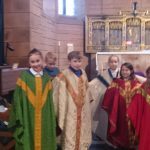 They enthusiastically explored the whole of the church and completed investigative quizzes with the assistance of members of the congregation. 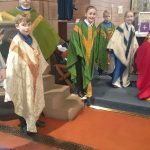 They explored the building, the many artefacts used in worship, the beautiful reredos and stained glass windows. 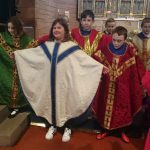 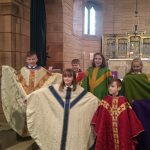 Rev Macleod then showed them the vestments, which he wears to take services, and explained the significance of the colours and the nature of the robes, the shapes of which date back to the very beginnings of the Christian Church in the Roman Empire. 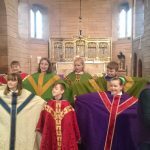 Each child was able to don a brightly coloured chasuble for a photo opportunity! 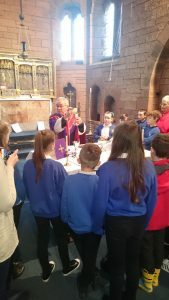 Holy Communion was prepared and distributed. 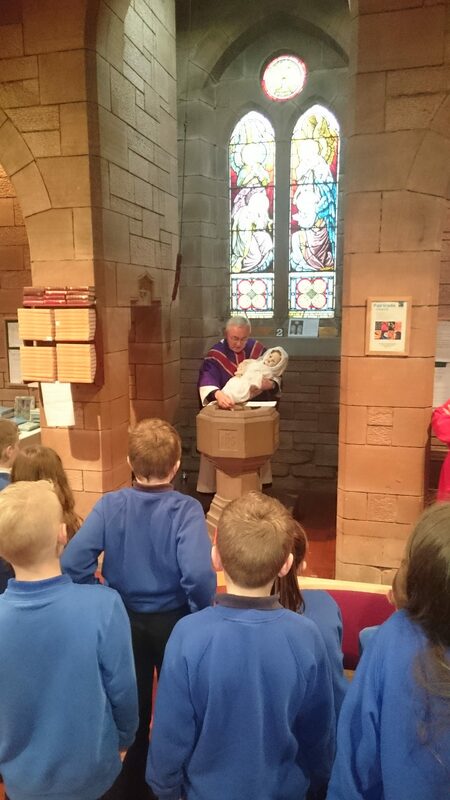 He followed this by showing a rapt audience how a baby is baptised.